We currently have 85 of these Allsteel Terrace used cubicles in stock. 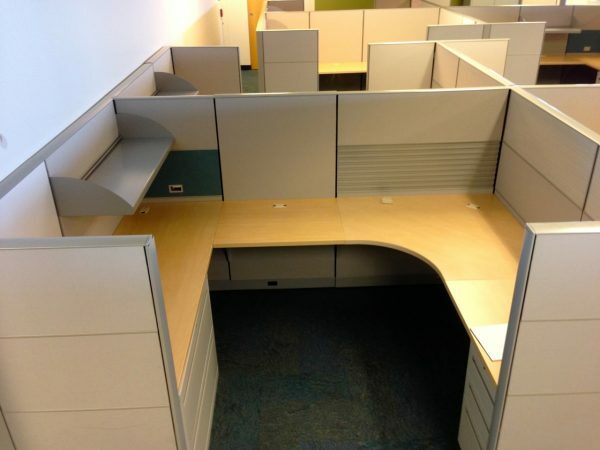 Each used office cubicle is 6X6 and 56″ high. We also have a 6X8 or an 8X6 configuration available. Each cubicles comes with one box box file, one two darer lateral file, one shelf and one adjustable height work surface.